In April 2016, Raid conducted a Bed Bug Myth-Busting survey to determine how much the average American adult knows about bed bugs. Although 69% of the 1,001 surveyed adults (ages 18-64) said they check for bed bugs when staying at a hotel, only 45% actually knew what a bed bug looked like. 21% thought it was a tick. 2% responded that it was none of the above. Thus, although a number of the respondents said they do check for bed bugs in certain situations, it is not likely that they actually knew what they were looking for, or would recognize the bug if it was seen. It is for that very reason that it is very important to collect a sample of any bug you may suspect to be a bed bug – or any other pest insect. The sample can then be shown to the building management or a pest management professional for identification and effective control/elimination implemented. 69% When staying at a hotel. 53% When staying in hostels or short term rentals. 53% When buying used furniture. 44% When moving into a new home. 44% When you return from travel. 37% When staying at a friend or relative’s house. 37% Regularly in your own home. Whether analyzing the responses by gender (male/female), generation (Millenials, Gen X, Boomers), region (Northeast, South, Midwest, East) or area (urban, rural, suburban), all respondents were more likely to check for bed bugs when staying in a hotel, hostel, or short-term rental than they were if staying at the home of a friend or relative. And, on average, all were least likely to regularly check their own home for bed bugs. The one statistical difference to this statement were residents of the Midwest – as an overall average, only 37% of respondents regularly check their homes for bed bugs, but 43% of Midwesterners were likely to. Additionally, more urbanites (41%) regularly checks their homes than did suburbanites (34%) or rural residents (37%). 52% check in or on other furniture (couches, chairs, etc.). 43% looked under the bed. 39% checked in their luggage. 38% looked behind the headboard. 14% looked behind picture frames. 14% checked in electrical outlet plugs. About one-sixth of the respondents never check for bed bugs at all, with 17% stating that they don't check any of the situations, and 15% not checking any of the places listed in the two questions above. Bed Bug Fact or Myth? In addition to the multiple choice and preference questions, the survey sought to determine how accurate Americans knowledge is about bed bugs. Following are the True or False questions included in the poll. Test yourself: How would you answer the questions? Then read on to the next section to find out if you were right or wrong, how you compare with survey respondents answers, and explanations of each. Bed bug infestations are almost always successfully treated with just one professional treatment. Following are the percentages of respondents who answered True or False, and the correct answer, with explanation. Have Bed Bugs or Eat Cockroaches? Bringing it back to general pest control, the final question asking if respondents would rather have a bed bug or a cockroach infestation in their home brought an overwhelming majority standing on the side of cockroaches (66%), with only 35% preferring bed bugs instead. This wasn't the first survey that Raid conducted -- or that was written about in About Pest Control. In 2015, the company wanted to find out how American adults feel about pests. That survey, which questioned 1,000 American adults uncovered a number of fun, interesting, and shareable insights about bugs and pesticide products. While it also included questions about bed bugs, it focused on the bigger picture of bugs in general. Are you more likely to take control with DIY pest control - or call in a professional? Would you buy a home with bugs? What is the worst bug to see in your home, and where would you least like to see it? Find out how your thoughts, feelings, and bug knowledge compare to other U.S. adults at How Much Do You Know about Bugs? About the 2016 survey. 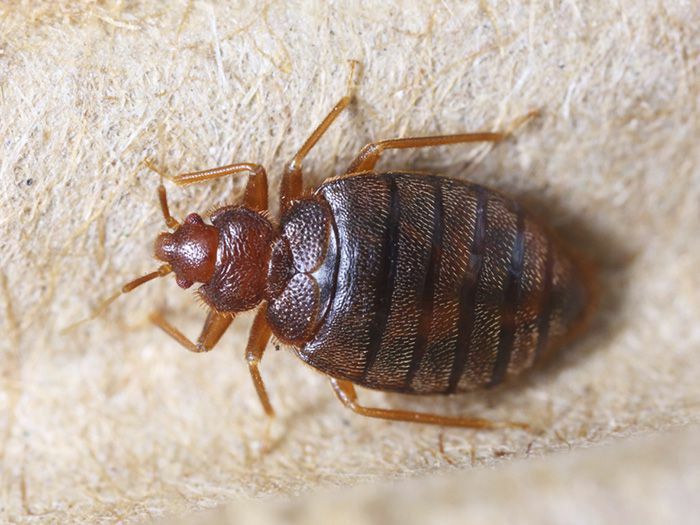 Edelman Intelligence conducted Raid’s Bed Bug Myth Busting Survey, a 5-minute, online survey among a representative sample of N=1,001 U.S. adults ages 18-64. The margin of error for this sample is +/- 3.09% at the 95% confidence level. The survey was fielded between March 22 and March 28, 2016.